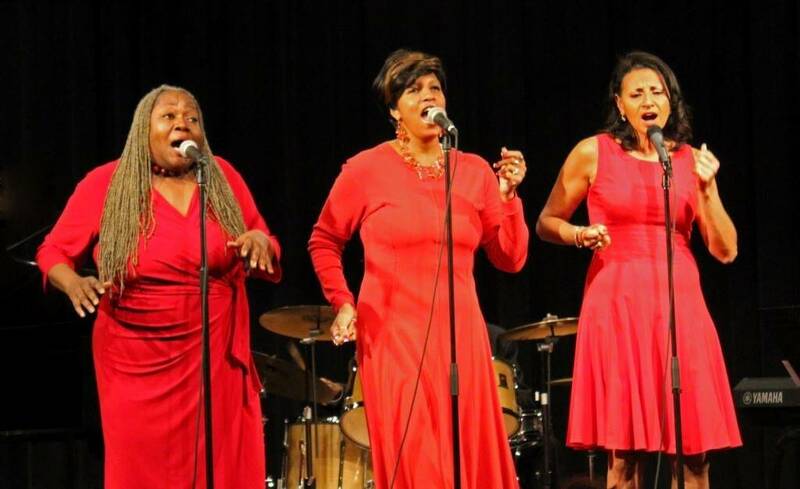 The Gospel Soul Brunch Series continues with two outstanding acts; “Old Landmarks: Traditional Gospel with Tia Harris, Vicki Saunders, and Debra James Tucker” and The Harmony Force Shape Note Singers. This series is hosted by Tucker at 2:30 pm on the first Sunday of each month, and the Brunch menu is available from 11 am until 3 pm for these shows. Vocalist Debra James Tucker is a product of extensive training in jazz, classical and gospel music. Singing jazz standards, big band swing, or R & B, Tia Harris is a versatile vocalist who has now written, recorded, and produced her own songs on her new CD, Fly Away With Me. Vicki Saunders has a long history in musical theatre, commercial music production, print/broadcast/advertising and live band performance. The Harmony Force Shape Note Singers were the first organized choir in Trinity Baptist Church, and has been in existence for 92 years. Before choirs had access to musical instruments they had the gift of voice. The rhythm section consisted of hand clapping and foot stomping on wooden floors to keep time (the beat) with the music. In shape note singing the pitch is given by the chorister/director and the members sound their parts in four part harmony. The choir then sings the song using the scale, do-re-mi-fa-sol-la-ti-do, before singing the words to the song. Shape note music has been an important part of the American musical experience for a very long time, starting in the Appalachian region around 1710. Directed by Daisy Crockron, with assistant director Boyd Holliman, choir members include Paula Brockington, Mildred Carter, Eddie Ruth Sims, Garry Cooper, Annetta Watkins, Jackie Stewart, Harold Yarborough, Dana Cooper, Christie Harris-Garrard, Kelveon Coats, Penny Sampson, Charles Lindsay, Charles Minter. Soul Sunday at Natalie’s is held on the first Sunday of each month, and includes a delicious Brunch from 11 am until 3 pm, with the Derek DiCenzo Trio performing between 11 am and 1 pm. The Gospel Show Brunch show begins at 2:30 and presents the best national and regional Gospel Artists in concert. The evening show, hosted by Paisha Thomas, features a variety of Soul bands and artists starting at 8 pm. In addition to the regular menu, enjoy a “Soul Food” special created just for this series!